We have two Food and Wine events coming to Four Brix in the next few months. 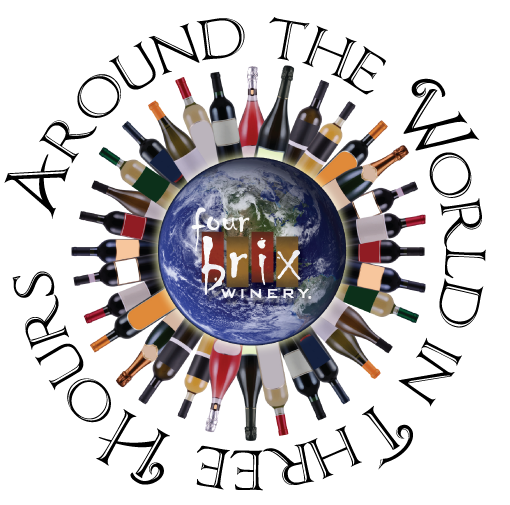 First will be “Around the World in Three Hours” http://fourbrixwine.com/events/around-the-world on March 24 which showcases our wines paired with Chef Maya Chrestensen, from Command Performance. She will be preparing five courses to be paired with each of our blends from around the world and the menu is unreal! Bigger news maybe our first WineMaker Dinner. We have not given this information out to anyone as we are still working on the details. The event will be help in our Cellar on April 14th to a small party of about 40. This will be a formal sit down meal with 5 courses and wine pairing. The big news is our guest Chef who will be Adrien Nieto. Adrien is the finalist from last years MasterChef Series on Fox http://www.fox.com/masterchef/bios/contestants/adrien-nieto. He is a Ventura Resident and is very excited to be working with us on this project. I can only tell you the menu he is working on for the event is a big WOW! Many of the Foodies are big fans of Adrien and we feel this will become a very popular event.